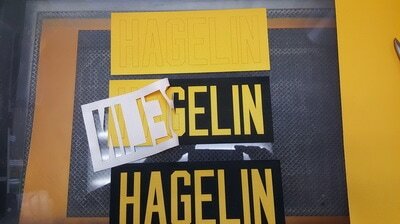 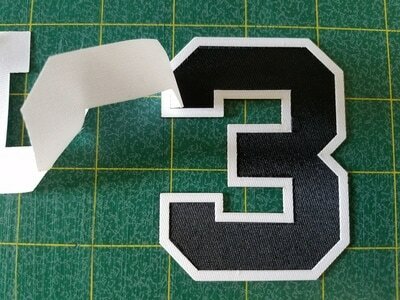 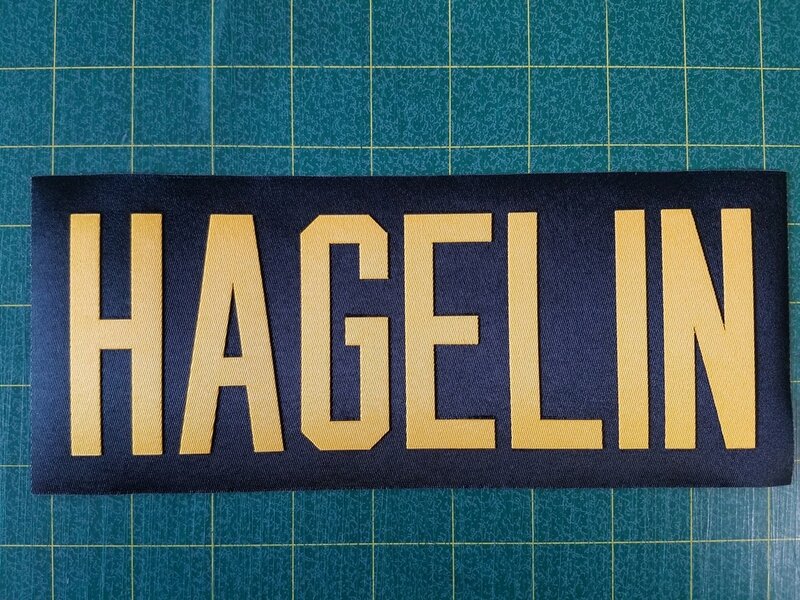 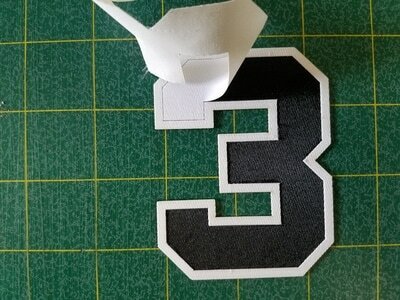 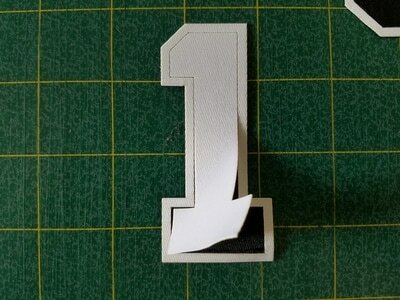 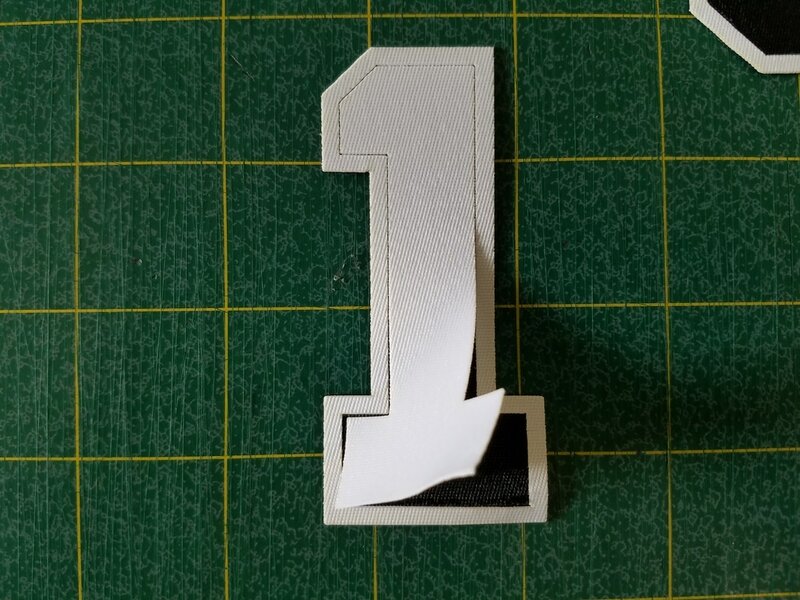 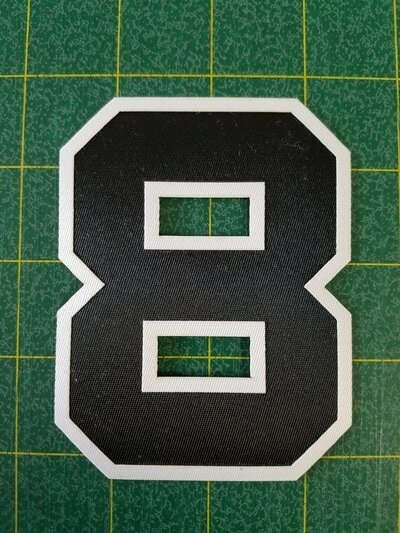 This is one of the most common ways to personalize hockey jerseys and other spirit wear. 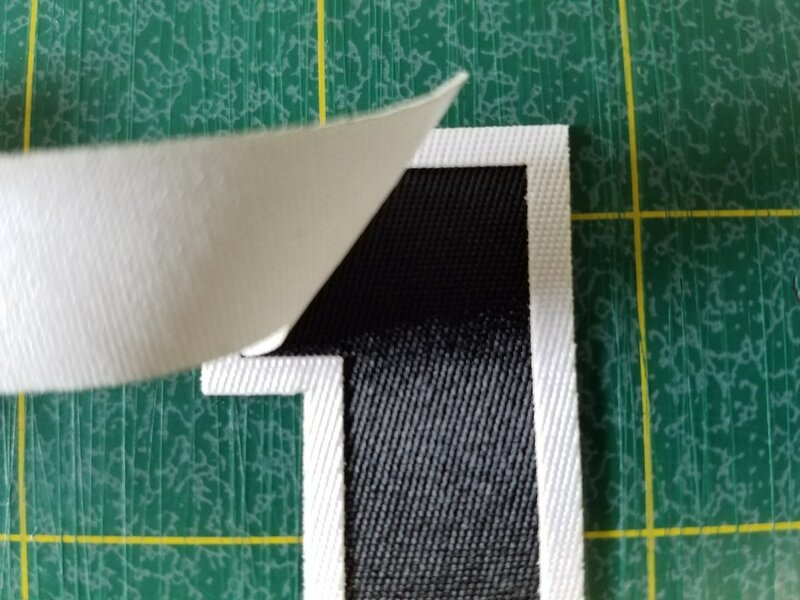 What do we mean by "Kiss Cut" ? 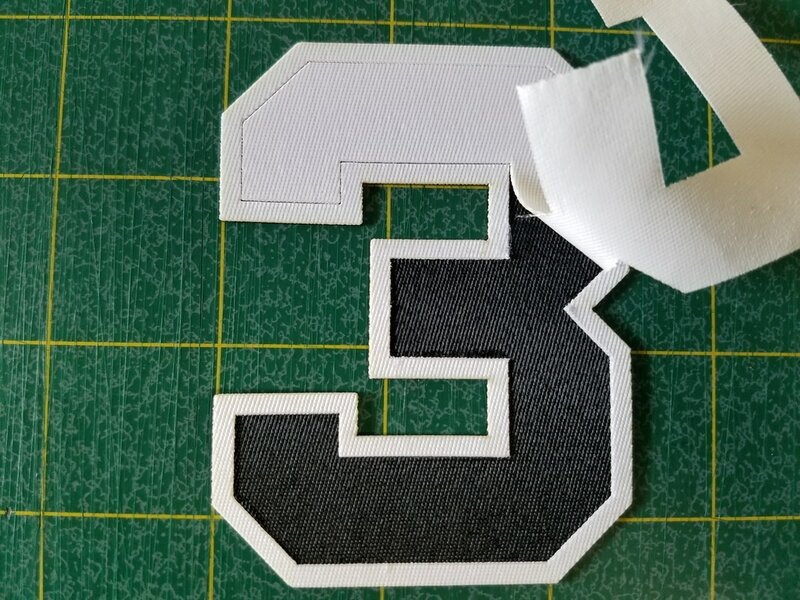 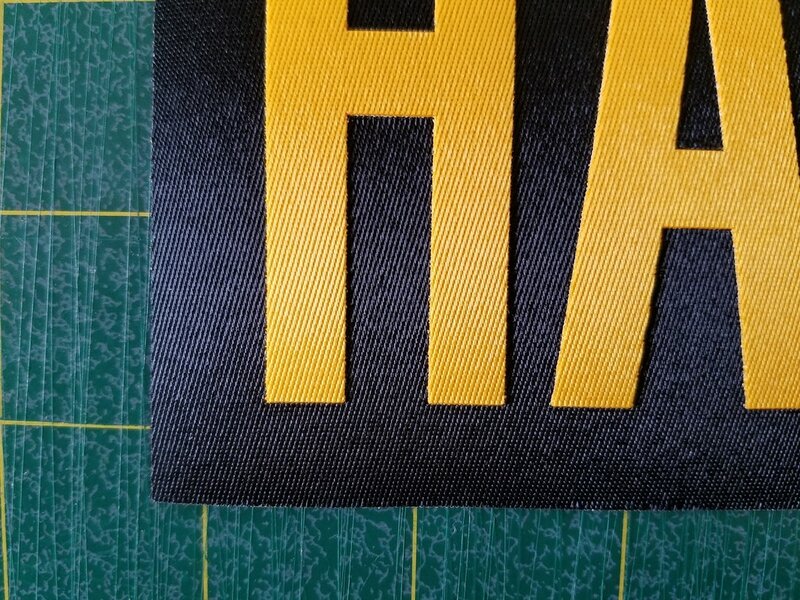 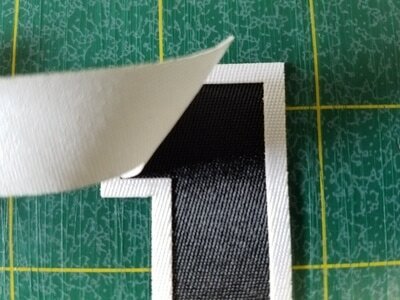 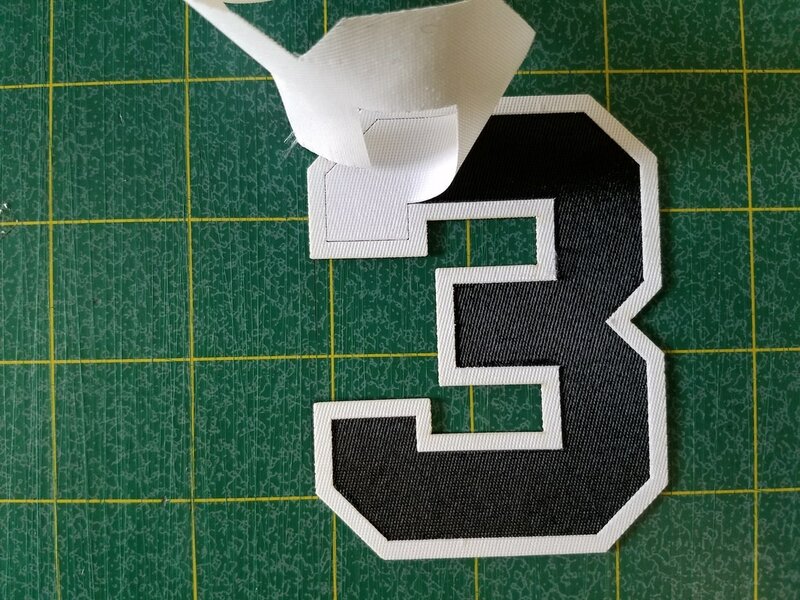 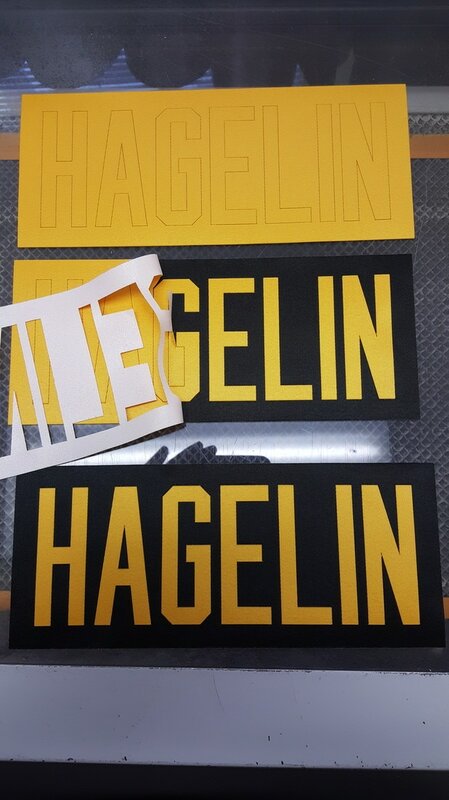 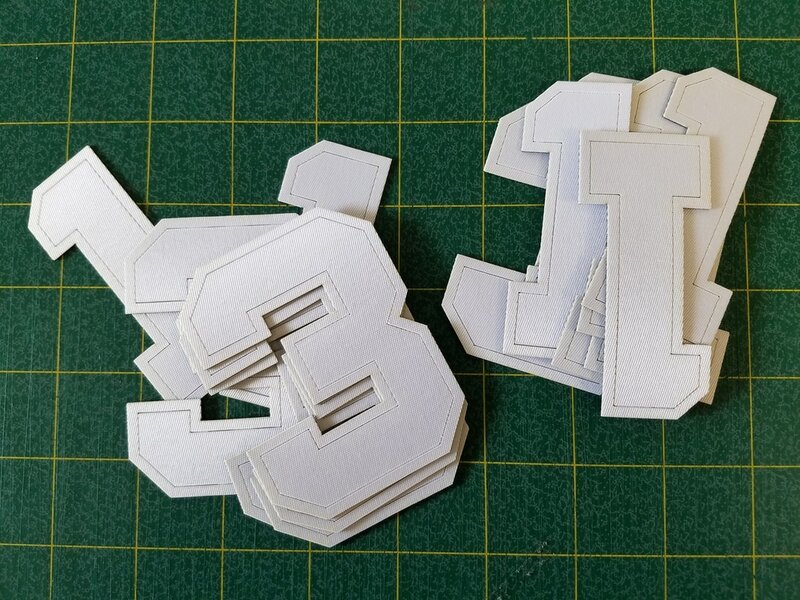 We start with adhesive backed athletic tackle twill and we use the "Kiss Cut" process especially for multi-color, multi-layer athletic tackle twill for Cut and Sew Crests and Jersey player name[plates and back and shoulder numbers. 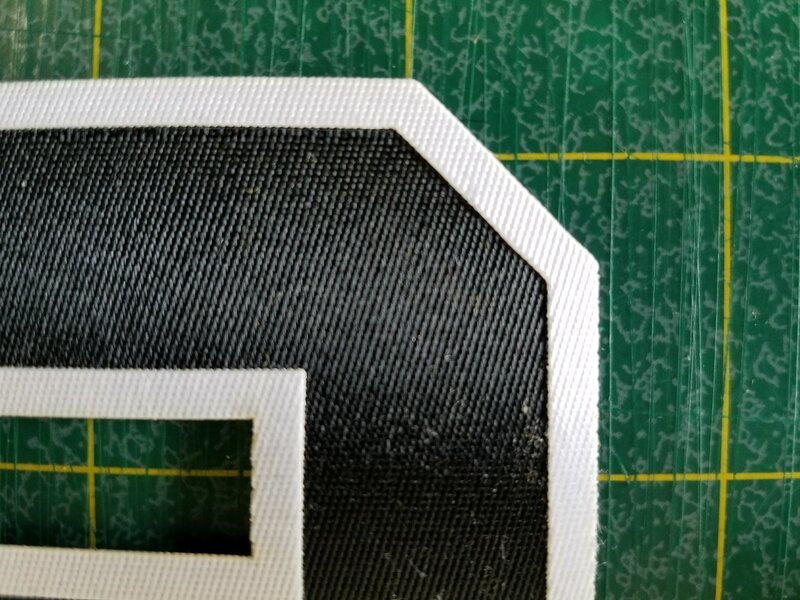 This is an cost saving alternative to full embroidery where we work with multiple colors of athletic tackle twill that are layered and sealed together before being laser cut and weeded and finally machine stitched or embroidered onto the garment.